When we think of wineries, we think of festive gatherings. Wine conjures the idea of celebration, warm-hearted revelry. Behind the scenes there is more: back-breaking labor, heartbreak, and trying days. What you may not initially think of is philanthropy. It was not until I began writing about wine and receiving press releases about the programs sponsored or lives changed that I became aware of the great work that some of these wineries are committed to doing. I don’t typically pass a long press releases, but these are worth sharing. I’ve written several times about the Codorníu brand. The Anna de Codorníu brand is partnering this month with SHARE, an organization that connects survivors and families effected by breast cancer. October is Breast Cancer Awareness Month, therefore pink is popping up all over the place. 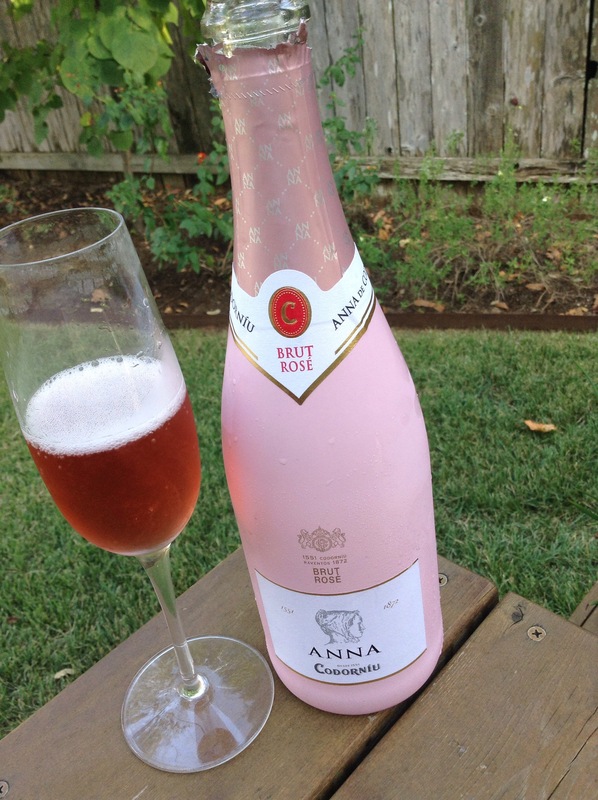 One of my favorite pinks to pop is their Gran Reserve for special nights, Anna for every day. The partnership encompasses a significant charitable contribution by Anna de Codorníu, a nationwide retail display program, and a creative “Message on a Bottle” consumer engagement campaign. Anna de Codorníu Brut and Brut Rosé will also be served at SHARE’s 12th Annual A Second Helping of Life, an annual benefit featuring New York’s top women chefs. “Anna de Codorníu is proud to stand with SHARE in their mission to help women facing breast and ovarian cancers. Our company is committed to getting the word out so that more people can benefit from the hope and guidance SHARE has delivered to so many communities for almost 40 years,”says Melanie Pyne, Brand Director of the Spanish Wine Portfolio at Aveníu Brands. They are asking customers to help spread the word with their #SHAREANNA campaign on social media, they will have pink displays set p in stores around the country, and the wines were also served at the 12th Annual A Second Helping of Life benefit in New York City. Sutter Home® Family Vineyards is bringing deserving American troops home to their own family tables this holiday season. Through its Sutter Home for the Holidays initiative, California’s iconic winery has partnered with the Veterans Business Outreach Center (VBOC) to unite active duty military personnel with their families for the holidays. Now through December 31, 2015, eligible members of the U.S. Military service members, Active Duty, Reserves and National Guard may apply online at www.vbocix.org to win a trip home to anywhere in the continental United States. Up to 25 winners will be selected based on financial need, outstanding service, and creativity in responding to the question, “What does home mean to you?” Sutter Home for the Holidays will provide round-trip airfare, ground transportation and hotel accommodations for up to five nights. A second application period, from October 1, 2015, to December 31, 2015, will allow up to 20 additional winners to travel home between February 2016 and December 2016. Later this year, Sutter Home, in conjunction with Operation Gratitude, will also roll out a consumer texting campaign to fund care packages for active duty military personnel and their families. I am a big fan of Cambria’s Pinot Noir from Julia’s Vineyard and was pleased to read about their Seeds of Empowerment initiative. Congratulations to Yin Myo Su and the Jackson family for the work you are doing. On Tuesday, September 29 at the Park Tavern in San Francisco, the Cambria Estate Winery was pleased to announce Yin Myo Su (“Misuu”) of Myanmar as the recipient of this year’s Seeds of Empowerment grant. The program celebrates exceptional women who have overcome adversity and who have inspired others to do the same. In partnership with Vital Voices, an organization that brings visibility to extraordinary women around the world, Seeds of Empowerment awards $100,000 annually in cash grants to nonprofit organizations that embody these traits to empower “warrior women.” Yin Myo Su will be given $25,000 in grant funds for her on-going efforts to bring growth and prosperity to Myanmar. As part of the Seeds of Empowerment program, Julia has also completed a series of original watercolor paintings that are featured on limited editions of Cambria bottles. Each painting depicts a woman who embodies the warrior woman in her many forms throughout history. Yin Myo Su will be included in the collection. Cambria Winery’s success relies on the power of women working together to make great things happen. From its owner, Barbara Banke, and her daughters, vintners Julia Jackson and Katherine Jackson, to its winemaker, Denise Shurtleff, Cambria demonstrates the strength and resourcefulness of women. Finally, Zephyr Adventures, the group behind Wine Bloggers Conference, and Taste Vacations are partnering with wineries across the country promote wine tourism while supporting cause of their choice. If your winery would like to participate, or if you would like to help by drinking some good wine, see the information below. Wineries and wine-related businesses have joined together to celebrate the third annual Wine Tourism Day on November 7, 2015 by hosting events throughout North America. This year’s Wine Tourism Day is focused on giving back to our communities. Many event hosts will be donating all (or a portion of) the earnings from the day to a local charity of their choice. Wine Tourism Day is organized by wine tour operators Zephyr Adventures and Taste Vacations. It is designed to celebrate the many wineries and other businesses offering wine-related events throughout North America and beyond, promote the concept of traveling to wine regions on vacation, and highlight the economic impact of wine tourism. It has been said that with great power, comes great responsibility. If you have been blessed, bless others. I could write all day about the ways I have seen this in my life. I am fortunate in that. I have not been directly impacted by breast cancer, I’ve never had to say goodbye to someone I love for months on end. I am fortunate in that. I am grateful to see others lead in these arenas and will do my part to help in mine; I encourage you to do the same. Even if it is just opening a bottle or sharing a smile. Cheers.